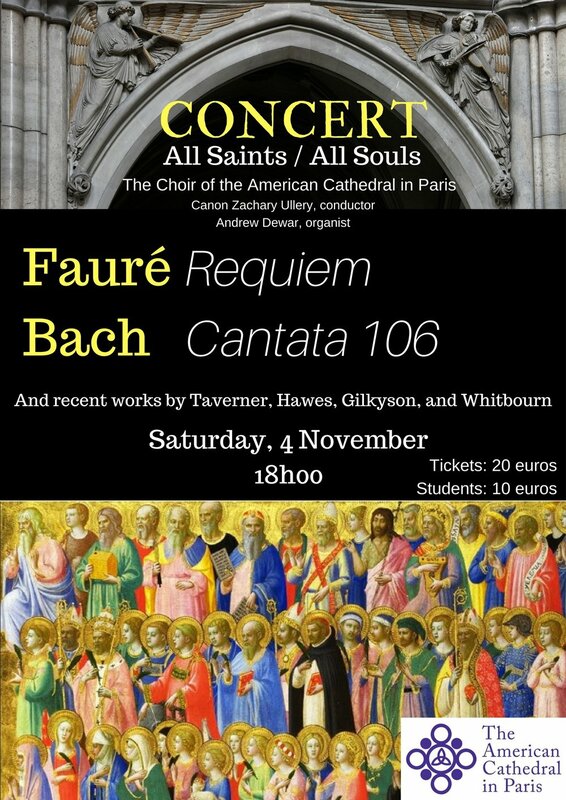 On Saturday, 4 November at 18h00, The Cathedral Choir will present a concert of music for All Saints/All Souls featuring Gabriel Fauré's Requiem, J.S. Bach's Cantata 106: Actus tragicus, and recent works by Patrick Hawes, James Whitbourn, and John Taverner. Tickets will be on sale after the 11am Eucharist on Sundays or can be bought online here.